If you’re looking for the best bike trailer for sale, our options are fully primed and sealed and come with two coats of paint, making them a superior choice. 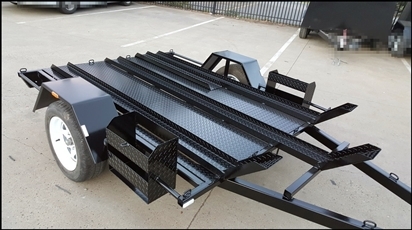 Whether you need a bike trailer in Melbourne or you’re after motorbike trailers for sale in Melbourne, look no further than Blue Star Trailers. Browse our available trailers online today or call us on (03) 9042 4390 to obtain more information on our bike trailers for sale in Melbourne.